(31) Photos Printable Brochure Apply For Credit Schedule A Test Drive Text Us About This Vehicle! Welcome to BUY & SELL CARS INC where our goal is simple. OUR PRICES ARE THE SAME REGARDLESS OF CASH OR CREDIT.For more than 30 yrs we have been serving consumers nationwide.We offer clean-pre-owned vehicles BELOW MARKET VALUE. 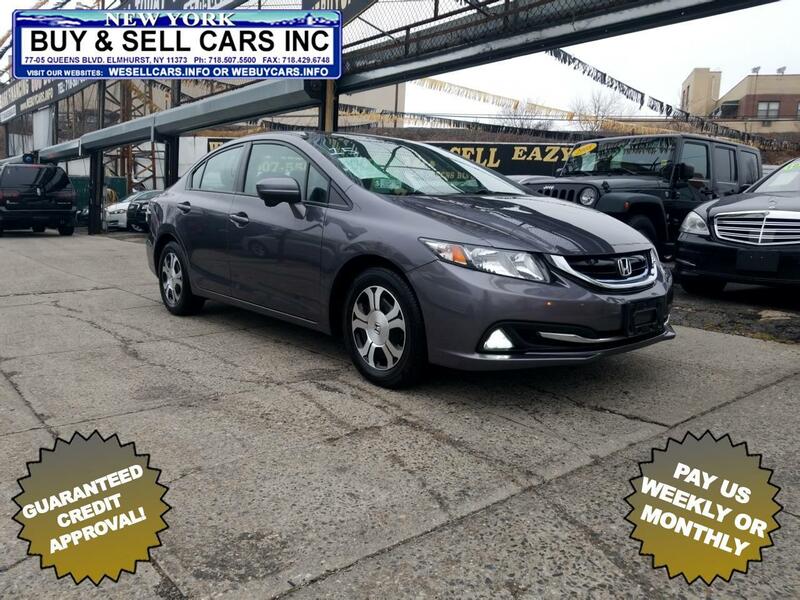 You can Visit us online at www.wesellcars.info to shop and fill out a credit application.YOU WORK YOU DRIVE 500 DOWN CALL TODAY AND DRIVE AWAY call us at (718)507-5500 today to schedule your test drive...Every car comes with a warranty.Our finance team will put you in the car of your dreams regardless of past credit history. Message: Thought you might be interested in this 2015 Honda Civic Hybrid.